Markus Poetzsch is Assistant Professor of English at Wilfrid Laurier University, in Waterloo, Canada, where he specialises in British Romantic literature. His recent publications include ‘Visionary Dreariness’: Readings in Romanticism’s Quotidian Sublime (2006) and his current research is focused on the intersections of pedestrianism, imagination, and memory in the literature of the late eighteenth and early nineteenth centuries. M. POETZSCH. ‘From Eco-Politics to Apocalypse: The Contentious Rhetoric of Eighteenth-Century Landscape Gardening’, Romantic Textualities: Literature and Print Culture, 1780–1840, 19 (Autumn 2008). Such words, while they may elicit unqualified assent from gardeners both then and now, belie the factious debate generated by ‘the sort of taste’ alluded to here and by its impact on the practice of landscape gardening in late-eighteenth- and early-nineteenth-century England. Far from soothing the minds of its participants, the dispute over gardening and other forms of rural ornamentation, which pitted so-called landscape improvers like Repton and the adherents of Lancelot Brown against theorists of the picturesque, reached a boiling point in the 1790s through its incorporation of the rhetoric of Anti-Jacobinism—what Andrew Stauffer has aptly characterised as ‘a rhetoric of inflammation’. Never before had plans for a razed and manicured lawn or, conversely, a wild, untrimmed hedgerow, signified so much. While the eighteenth-century politicisation of land as agrarian space predates the 1790s and may, as Ann Bermingham suggests, be traced to the period of accelerated enclosure beginning around 1750, the politicisation of landscape as an aesthetic category is one of the unique hybrid discourses that develops in the immediate aftermath of the French Revolution. Ostensibly centred on notions of proper landscape use, appearance and ornamentation, the debate between rural improvers and picturesque theorists very quickly engulfed the idea of ‘nature’ itself. This idea, as William Galperin notes, operated primarily as ‘a representational order’, the valences of which are not merely aesthetic but also social and political. Nature, in other words, became a signifier of social value and a reflection of national identity—in essence, an ecopolitical construct that could be appropriated (a word of some import in this context) and managed under the guise of aesthetic pleasure. The process of appropriation, long before manifesting itself in the direct and often irrevocable commodification of natural space discussed by scholars such as Jonathan Bate, Gavin Budge, and Christopher Hitt, took root at the level of discourse. For the principal adversaries in the dispute over landscape gardening—Humphrey Repton and his supporters like William Wyndham and William Marshall on one side, Richard Payne Knight and Uvedale Price on the other  —this meant drawing provocative analogies between the natural and the political spheres, with nature being defined and ‘called upon’, as Bermingham notes, ‘to [reflect,] clarify and justify social change’. Linguistic appropriation in effect operated tautologically: the landscape improvers and picturesque theorists sought not only to shape and define nature according to certain aesthetic protocols, but also to encourage an aesthetico-political order, an idea of what nature and nation should be, which could become a standard for judging what is and is not ‘natural’ in these two spheres. Thus we have, for example, Knight’s critique of Repton’s practice of levelling trees and shrubs in the creation of ‘never-ending sheets of vapid lawn’—an aesthetic commentary that also raises the spectre of political levelling—and Repton’s rejoinder, outlined in a 1794 letter to Price, that the system of picturesque embellishment fosters an ungovernable wildness unsuitable to the ideals of a constitutional monarchy, each playing on the idea (and preyingon the fear) that extreme policies in aesthetic/environmental practice reflect and encourage instability in the political realm as well. However, one of the notable ironies of this debate, I would like to suggest, is that it also highlights the resistance of nature as an ecopolitical construct to the kinds of instrumental appropriations (or wars) practised by eighteenth-century landscape improvers and aestheticists. Indeed, the capacity of nature—whether read aesthetically as a ‘series of living tableaux’ or politically as a ‘representational order’ of the nation state  —to accommodate contesting and, in some cases, mutually exclusive appropriations, speaks to its conceptual capaciousness and slipperiness, its tendency to frustrate (by virtue of its signifying excess) the limited claims and designs of ideology. Nature thus acquires a transcendent status in the discourse of Romantic ecology. The text that directly brings politics into the garden is Knight’s The Landscape, a Didactic Poem, published in 1794 as a pre-emptive strike against Repton’s forthcoming Sketches and Hints on Landscape Gardening, a portion of which Knight had previewed at a bookseller’s and instantly taken issue with. The excerpt in question, from Repton’s plans for the improvement of Tatton Hall in Cheshire, articulates a process for enhancing ‘greatness in a place’, with greatness defined as the perception of ‘united and uninterrupted property’. This process, which included, among other expedients, sweeping away any trees, hedges, or formal terraces that divided the boundaries of a property from the landscape beyond, all in an effort to ‘impress the mind with a sense of [the owner’s] influence’, was fittingly termed ‘appropriation’. The practical success of appropriation was measured by the landholder’s ‘management of the view’  —a phrase taken from Repton’s plans for Lathom House in Lancashire, a project that included the removal of the central pool and garden walls so as to widen and lengthen the prospect from the house (see Figures 1 and 2, below). To wander o’er so many miles in vain? And plant again the ancient avenue. In this striking defence of class difference and privilege—a system ‘naturalised’ through its alignment with the fecundity and variety of nature itself, qualities that, as noted above, are themselves already pre-defined as aesthetic ideals—Price even manages to accommodate the principle of concealment, which operates here as a political tool of self-preservation by which the ‘high[er]’ orders of society intermingle with the ‘low’ without forfeiting the privilege of ‘separation’. If aesthetic beauty is the goal behind the desire for connection in a landscape garden, fear of class conflict and social disintegration drives the political rhetoric of ‘beneficial mixture’: ‘should any sudden gap, any distinct undisguised line of separation be made, such as between the noble and the roturier, the whole strength of that firm chain (and firm it may stand) would at once be broken’. Although Price’s response to Repton’s levelling impulse is more genially phrased and nuanced in its conception than Knight’s dismissive reference to the ‘flat, insipid, waving plain’, it is clearly no less polemical. Like Knight, Price associates levelling with a general tendency toward disconnection—a ‘fashion’, as Stephen Daniels and Charles Watkins suggest, that was regarded as ‘dangerously destabilising’ by the landed classes. Although Price concedes that landscape levelling in the name of comfort and convenience is at times necessary, he warns improvers not to exceed the example of nature in this regard. As he suggests, ‘there are scenes in wild, unimproved nature, of the same kind as those in which modern gardening most excels […] [but these] scenes [are] produced by accident, not design’. Translated politically, such a statement represents a check on the revolutionary impulse to dismantle traditional hierarchies of power; if nature on occasion disregards the principle of connection, the nation should not. Indeed, Price’s statement appears to imply that social and political inequalities, whenever pernicious and not conducive to the maintenance of a ‘firm chain’, have a tendency to correct themselves naturally. One cannot help hearing echoes of Godwin here—Godwin, that is, in his more moderate strains. Take, for example, the following passage from Political Justice, published only a year earlier: ‘Imperfect institutions […] cannot long support themselves, when they are generally disapproved of, and their effects truly understood. There is a period, at which they may be expected to decline and expire, almost without an effort’. The only material difference here is that Price envisions levelling as a product of nature’s occasional ‘accidents’, and Godwin, as a consequence of institutional imperfection. For Knight, political levelling in the name of liberty, fraternity, and equality has social and environmental consequences similar in type, if not perhaps in degree, to those produced by aesthetic levelling in the name of appropriation: it weakens the human connection to land, enforces divisions between properties and property holders, and, perhaps most significant of all, scatters so-called ‘constituent communities’. In terms of its environmental focus, Knight’s position is remarkably clairvoyant and, one might add, congenial to the modern ear; its politics, however, are rather more slippery. One cannot after all separate Knight’s disdain for the policies of appropriation—policies that, as Bermingham notes, were encouraged by the General Acts of Enclosure and the ‘conspicuous consumption of [the] nouveaux riches’ who were buying up and razing land at an unprecedented rate  —from his resistance to the perceived malice of democratic levelling. Nor can one read his hesitant invocation of ‘[j]ust order […] and genuine liberty’ in The Landscape without recalling the cautionary note that a ‘despot’s chain, | Is oft a curb worse evils to restrain’. Perhaps most ironic of all, however, is Knight’s attempt to disclaim any political affiliations in the postscript to the second edition of his poem, where he takes Repton to task for having aligned the picturesque system of rural embellishment with ‘the Democratic tyranny of France’—precisely the same charge he has levelled at the improvers. As if recognising the untenability of maintaining a controversy from a position ideologically indistinguishable from that of one’s opponent, Knight endeavours to untangle aesthetics from politics by declaring that ‘subjects of mere elegant amusement’ must not involve ‘the nearest and dearest interests of humanity’—ostensibly a disparagement of Repton’s tactics but also, and more importantly, a signal of a rhetorical impasse. To argue for a return to discourse-specific rhetoric is to acknowledge a loss of control over that rhetoric. Or, to put it another way, the unravelling of conjoined discourses signals the failure of landscape improvers and picturesque theorists to bring nature as a construct—aesthetic, political, or otherwise—under the control of ideological appropriations. Whether levelled or variegated, expansive or secluded, whether shaped for everyday convenience or for refined pleasure, whether claimed by a rebellious rabble or by a constitutional monarchy, the idea of nature that Repton, Price, and Knight seek to make subject to their own tastes consistently exceeds and eludes their rhetorical control. In the end, their efforts of appropriation have the character of family arms affixed to milestones: they make illusory claims to a containment of vastness which is itself already encoded numerically and thus foregrounds its distance as a signifier from the signified that is nature’s inappropriable reality. The phrase ‘nature’s inappropriable reality’, far from implying a refusal to acknowledge environmental crises rooted in practices of appropriation and commodification, is intended to signal what Timothy Morton has recently characterised as the ‘strange strangeness’ of the natural world, its irreducible alterity. The culmination of the eighteenth-century debate over landscape gardening is but one measure of that alterity, that resistance to rhetorical control and to the reductive equations of political urgency that would seek to bring nature in line with the country estate, and the country estate with the British empire. Instead, as Price himself concedes, nature appears to proceed by ‘accidents,’ at times severing the various ‘connections’ upon which aesthetic and political ideals are founded. The gardening debate thus calls into question contemporary formulations of ‘[t]he ideal Romantic relationship between human beings and nature […] [as] a meeting halfway or more’. Nature’s inappropriable reality may frustrate such a ‘meeting’, demanding instead that we transform our ideological constructs of the natural into ‘something other than […] object[s] enframed by human desires’. To engage the natural world as ‘something other’, something fundamentally unamenable to our epistemological frameworks and modes of representation, is perhaps the only way to decentre the human in its relation to the environment. For in the end, as Broglio suggests, ‘[i]t is not the internal coherence of humanness that matters but rather the possibility of self-difference that provides a means of thinking and relating to nature’. 1. Humphrey Repton, The Landscape Gardening and Landscape Architecture of the Late Humphrey Repton, Esq, edited by Gavin Budge (1840; Bristol: Thoemmes Press, 2001), p. 606. 2. Andrew M. Stauffer, Anger, Revolution, and Romanticism (Cambridge: CUP, 2005), p. 70. 3. Ann Bermingham, Landscape and Ideology: The English Rustic Tradition, 1740–1860 (Berkeley: University of California Press, 1986), p. 10. 4. William Galperin, ‘The Picturesque, the Real, and the Consumption of Jane Austen’, The Wordsworth Circle, 28.1 (1997), 19. 5. Jonathan Bate, Song of the Earth (Cambridge, MA: Harvard University Press, 2002), p. 127; Gavin Budge, ‘Introduction’, Aesthetics and the Picturesque, 1795–1840 (Bristol: Thoemmes Press, 2001), p. vi; Christopher Hitt, ‘Ecocriticism in the Long Eighteenth Century’, College Literature, 31.3 (2004), 128–29. 6. William Wyndham of Fellbrig Hall, a neighbour and supporter of Repton’s work for whom the latter worked as confidential secretary, characterised the aesthetic theories of Knight and Price as ‘absurd [and] unphilosophical’. William Marshall, author of Planting and Ornamental Gardening (1785), supported Repton’s cause with a withering review of Knight’s The Landscape: A Didactic Poem, in which he argues that ‘the goading objects of pictureskness have a […] tendency to excite the spirit of discord’. See Repton, Landscape Gardening, p. 115; William Marshall, A Review of the Landscape, A Didactic Poem: Also of an Essay on the Picturesque: Together with Practical Remarks on Rural Ornament, edited by Gavin Budge (1795; Bristol: Thoemmes Press, 2001), p. 83. 7. Bermingham, Landscape and Ideology, p. 1. 8. Richard Payne Knight, The Landscape: A Didactic Poem (London: W. Bulmer & Co., 1795), p. 40 (Book II, l. 76); Repton, Landscape Gardening, p. 10. 9. David Marshall, The Frame of Art: Fictions of Aesthetic Experience, 1750–1815 (Baltimore: Johns Hopkins University Press, 2005), p. 17. 10. Jonathan Bate, Romantic Ecology: Wordsworth and the Environmental Tradition (London & New York: Routledge, 1991), p. 7. 11. Bate, Romantic Ecology, p. 40; Ron Broglio, Technologies of the Picturesque: British Art, Poetry and Instruments 1750–1830 (Lewisburg, PA: Bucknell University Press, 2008), p. 118. 12. Christine Bolus-Reichert, ‘The Landed Revolution: Humphrey Repton, Arthur Young, and the Politics of Improvement’, Romanticism, 5 (1999), 203; Bate, Song of the Earth, p. 136. 13. Repton, Landscape Gardening, pp. 5–6. 14. William Wordsworth, The Prelude, edited by J. C. Maxwell (London: Penguin Books Ltd, 1971), Book XI, l. 156. 15. Repton’s dismissal of the motives and ethics of the picturesque is, notably, still rehearsed by modern scholars, most recently by J. Baird Callicott who characterises the movement as ‘superficial […] narcissistic [and] trivial’. See his ‘The Land Aesthetic’, in Environmental Ethics: Divergence and Convergence, 2nd edn, edited by Richard G. Botzler and Susan J. Armstrong (Boston: McGraw–Hill, 1998), p. 134. 16. 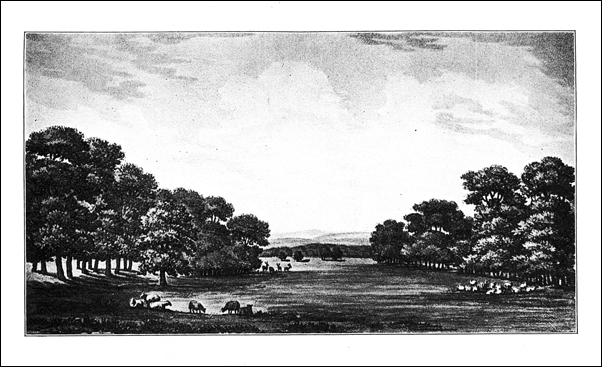 Repton, Landscape Gardening, p. 9. 17. Uvedale Price, Essays on the Picturesque, as Compared with the Sublime and the Beautiful, edited by Gavin Budge (1794; Bristol: Thoemmes Press, 2001), pp. 43 and 94. 19. Edmund Burke, Reflections on the Revolution in France, edited by Thomas H. D. Mahoney (1790; Indianapolis: Bobbs–Merrill Co. Ltd, 1955), p. 86; Hazel Fryer, ‘Humphrey Repton’s Commissions in Herefordshire: Picturesque Landscape Aesthetics’, Garden History, 22.2 (1994), 162. 20. Stephen Copley and Peter Garside, ‘Introduction’, The Politics of the Picturesque: Literature, Landscape and Aesthetics since 1770 (Cambridge: CUP, 1994), p. 5. 21. 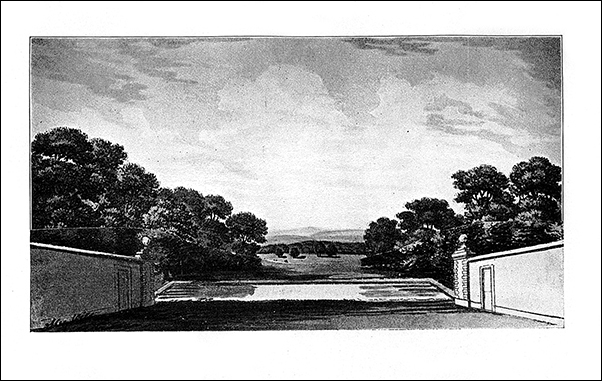 Repton, Landscape Gardening, p. 92. 24. Rachel Crawford, Poetry, Enclosure, and the Vernacular Landscape, 1700–1830 (Cambridge: CUP, 2002), p. 4. 25. Stephen Switzer, Ichnographia Rustica: or, the Nobleman, Gentleman, and Gardener’s Recreation (London: D. Browne et al., 1718), p. 185. 26. Crawford, Poetry, Enclosure, and the Vernacular Landscape, p. 72. 27. John Barrell, English Literature in History, 1730–1780: An Equal, Wide Survey (New York: St Martin’s Press, 1983), p. 51. 28. Repton, Landscape Gardening, p. 222. 29. Knight, The Landscape, p. 13 (Book I, ll. 169–76). 30. Ibid., p. 14 (Book I, ll. 192–95). 31. Crawford, Poetry, Enclosure, and the Vernacular Landscape, p. 76. 32. Thomas Whately, Observations on Modern Gardening (1770; New York: Garland Publishing Inc., 1982), pp. 12–13. 33. Crawford, Poetry, Enclosure, and the Vernacular Landscape, p. 76. 34. Knight, The Landscape, p. 14 (Book I, ll. 202–04; notes p. 14). 35. Ibid., pp. 15–16 (Book I, ll. 213 and 218). 36. Bermingham, Landscape and Ideology, p. 67. 37. Knight, ‘Advertisement’, The Landscape, p. viii. 38. Knight, The Landscape, p. 2 (Book I, ll. 19–20). 39. Ibid., p. 2 (Book I, l. 17). 40. Ibid., pp. 31–32 (Book II, ll. 2 and 8–16). 41. Price, Essays on the Picturesque, p. 111. 45. Stephen Daniels and Charles Watkins, ‘Picturesque Landscaping and Estate Management: Uvedale Price and Nathaniel Kent at Foxley’, in Politics of the Picturesque, edited by Copley and Garside, p. 21. 46. Price, Essays on the Picturesque, pp. 102–03. 47. William Godwin, Enquiry Concerning Political Justice and its Influence on Morals and Happiness, edited by F. E. L. Priestley, 3 vols (1793; Toronto: University of Toronto Press, 1946), I, 274. 48. As John Whale points out, Knight’s footnote on the Reign of Terror at the conclusion of Book III threatens to ‘dominat[e] the whole book’. See ‘Romantic Explorers and Picturesque Travellers’, in Politics of the Picturesque, edited by Copley and Garside (Cambridge: CUP, 1994), p. 188. 49. Knight, The Landscape, p. 84 (Book III, l. 257). 50. Ibid., p. 91 (Book III, ll. 377–78, 390 and 387). 51. Ibid., pp. 91–94 (Book III, ll. 393, 402 and 420; notes pp. 93–94). 52. Bermingham, Landscape and Ideology, p. 67. 53. Knight, The Landscape, pp. 91–92 (Book III, ll. 416 and 373–74). 56. Timothy Morton, ‘Animals, Vegetables, Minerals, and Other Alien Beings’, Activism, Apocalypse, and the Avant-Garde (ASLE UK Conference, University of Edinburgh, 11 July 2008). 57. Gary Harrison, ‘Romantic Ecology’, Encyclopedia of World Environmental History, edited by Shepard Krech, John Robert McNeill, and Carolyn Merchant, 3 vols (New York & London: Routledge, 2004), III, 1064. 58. Broglio, Technologies of the Picturesque, p. 195.